Seminyak is synonymous with luxury and expensive. This may be for some cases of tourists who visit the restaurant and spend a lot of money. Actually, not all restaurants in Seminyak put an expensive price. For example, you can eat in various ways with packages costing 150-250 thousand. Event promo to eat as much can also be a recommendation to enjoy restaurants Seminyak Bali. 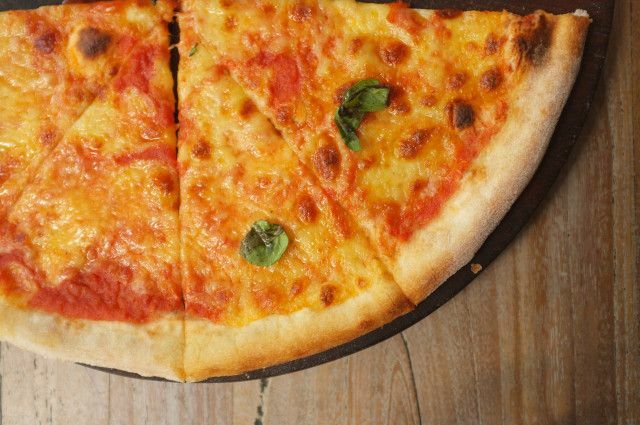 Pizza can be the best cheap dinner, very common and easy to find while you are vacationing in Bali. But Bali offers many delicious pizza restaurants Seminyak Bali at affordable prices. Imagine you are spending 1 pizza pan with prices ranging from $ 5- $ 6 and toping diverse. Recommendations best restaurants pizza in Seminyak you can visit is Marzano, Trattoria, Italian Pizza, Massimo Restaurant, and more. If you happen to visit a double six beach, then you should stop by and taste the delicious pizza at Marzano. Just walk from the double six beach and you can enjoy delicious pizza, pasta, salad and more. This is a much sought after solo traveler and backpacker. Enjoy best restaurants Seminyak, eat as much as cheap price! 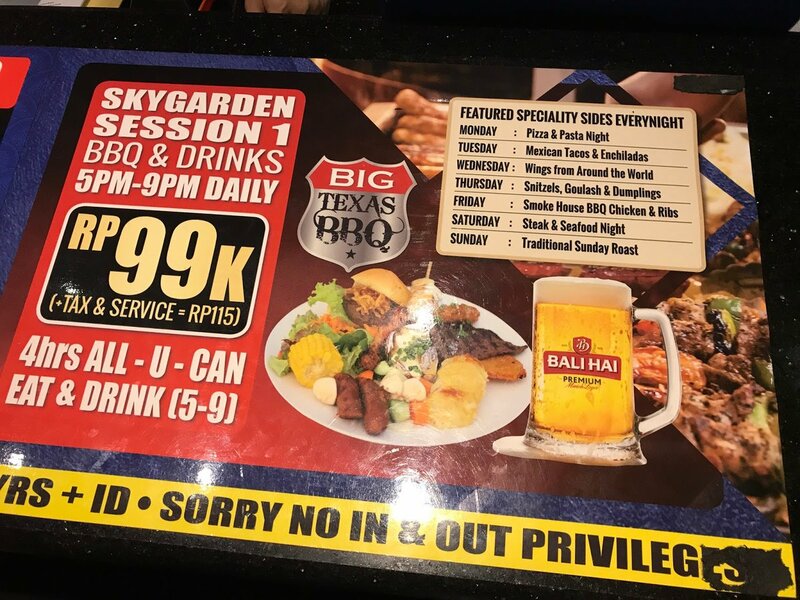 If this is the case, then Sky Garden offers the best deal promo all you can eat. You simply spend $ 10 and enjoy the fancy and cheap dish made by the best international chef. Skymax restaurants rooftop in Jimbaran can also be one of the satiety and cheap dining options for a solo traveler. With $ 10 you can enjoy a delicious meal in a luxurious place and enjoy the view of Bali at night. Bali is perfect for family holidays. Of course, the budget during the holidays you should pay attention. The choice is between looking for restaurants with a portion of jumbo and can be shared, or looking for restaurants with a comfortable atmosphere, outdoor and affordable prices. 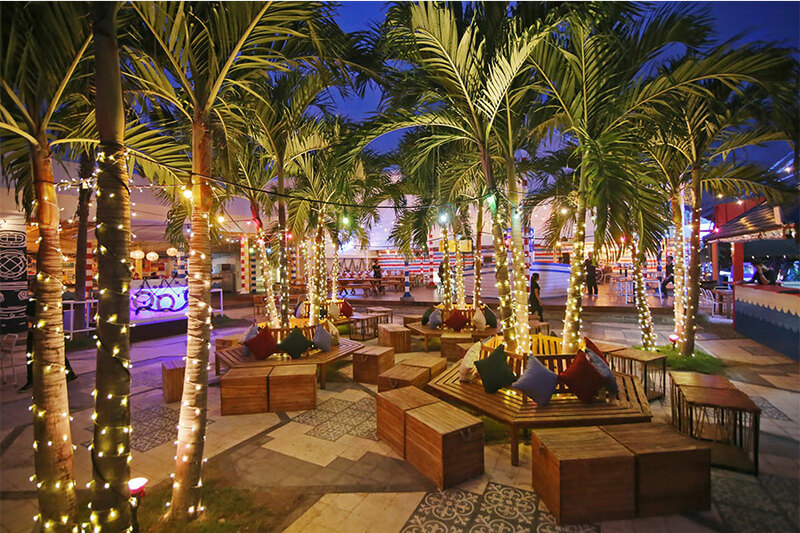 Sea Vu play is one of the restaurants Seminyak Bali with a cozy feel, outdoor, food menu can be shared and affordable price. Its price ranges from $ 15 – $ 25 for 4 people. If your weekend and family are still in Bali, then Sunday market in Sea Vu Play can be one of the entertainment you can do. Sea Vu Play is not only Bali’s best outdoor restaurants but also a place to spend your Sunday in Bali. Who says best restaurants in Seminyak can only be reached for the rich? Anyone can enjoy delicious and cheap food in Bali. How to Get Hassle-Free Summer Travelling?